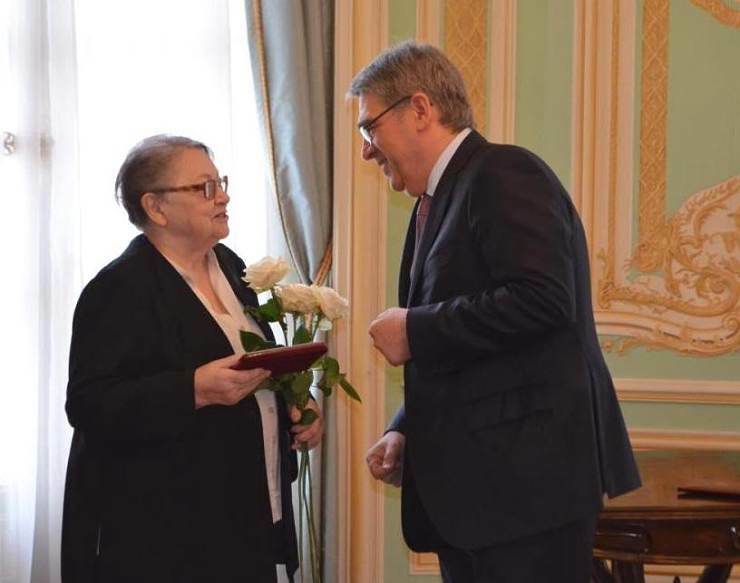 Ludmila Sedláková, who spend most of her life studying the nuclear physics and physics of condensed matter, received an honorary award from the Russian corporation for nuclear energy Rosatom for "International collaboration in the nuclear field". Ludmila Sedláková joined a significant part of her career with the Joint Institute for Nuclear Research in Dubna, where she worked in the Laboratory of Neutron Physics. 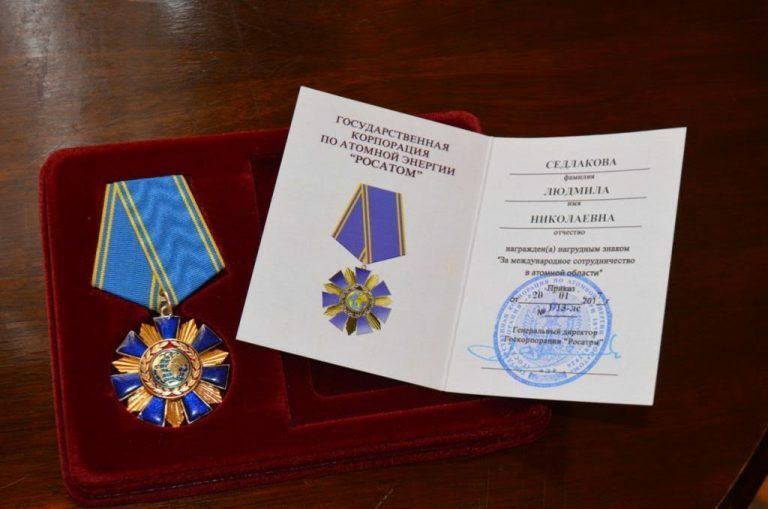 The award ceremony took place on 10 March 2017 at the Embassy of the Russian Federation in the Czech Republic, the price was handed over by Alexander Zmejevskij, Ambassador of the RF in the CR. More information on the web atominfo.cz and Embassy of the RF in the CR. The Curriculum vitae of Ludmila Sedláková can be found here.